It occurred to me recently that my storage solution for my jewellery collection is completely lacking in space and efficiency. I mean, cute vintage tins and glass bowls are rather pretty to look at but they tend to end up reminiscent of a Saturday Jumble Sale at the local community centre with cascades of chains and beads spilling out all over my dressing table. In short, I need to something more appropriate to store my burgeoning jewellery collection. Upon investigating potential jewellery stands I have found that birds and hearts are the decorative motif of choice, see the top picture for the Bird Tree jewellery stand from Rose and Grey for £26 and the Heart filigree stand from Urban Outfitters for £20. I see there is a bit of a gap in the market for any creative folk out there. For a more elegant dressing table this simple jewellery stand from Brighton Beautiful for £16.95 would be ideal. 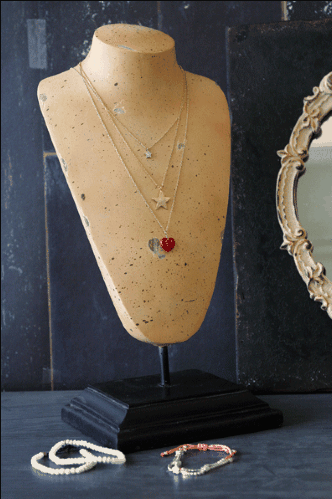 A great non-bird-heart alternative is this jewellery bust from Rockett St George for £29 has a rather classic look I quite like. It could potentially make the cute or creepy list, but I like it. And this porcelain jewellery dish would be perfect for my ring, although I do see the potential pile-up danger that I currently have on my dressing table. But look! Cute dog! 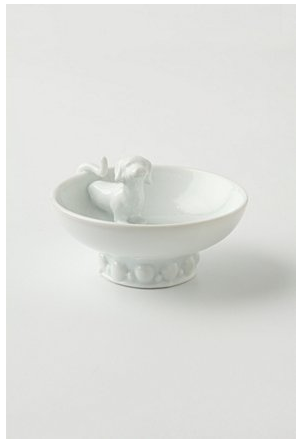 Plus, a product from Anthropologie for 8 quid is a rarity. 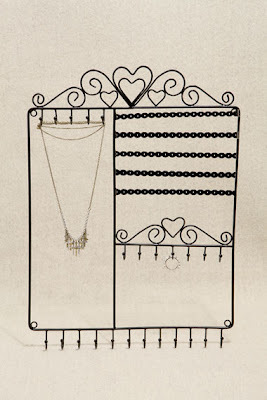 I've been planning to buy a jewellery stand for ages, but they seem so expensive for something that's essentially a wire coathanger with a couple of hearts on it, don't they? Moving house next month, and these converted photo frames (via Offbeat Home) are currently rocking my Pinterest plans. I use an old vintage birdcage. 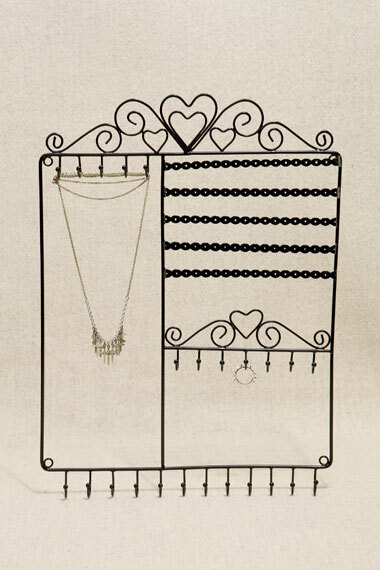 I hang necklaces off the bars and put rings and things inside it. 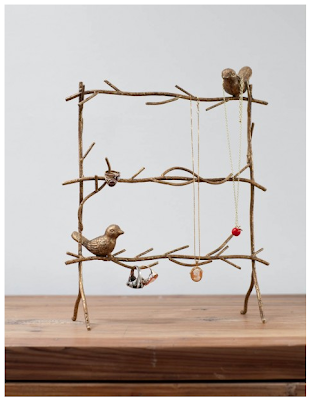 I have the top one with the twigs and birds. It's very sturdy and looks very elegant in real life. It felt appropriate to hang my Alex Monroe jewellery on. 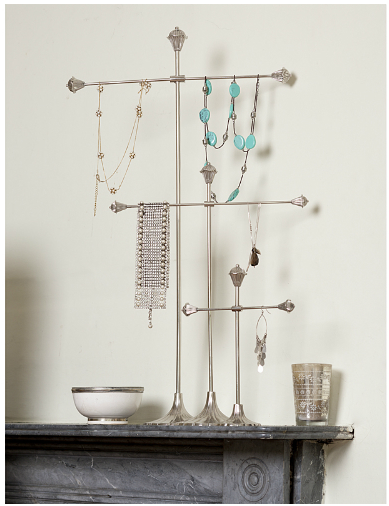 Personally think the third picture is a bit 1980's 'silver hand' jewellery stand. The bust could be nice in the right setting though.